If Fantasy Football Fans Had Team Jerseys - Fantasy Football, Fantasy Football Rankings | Mac Bros. 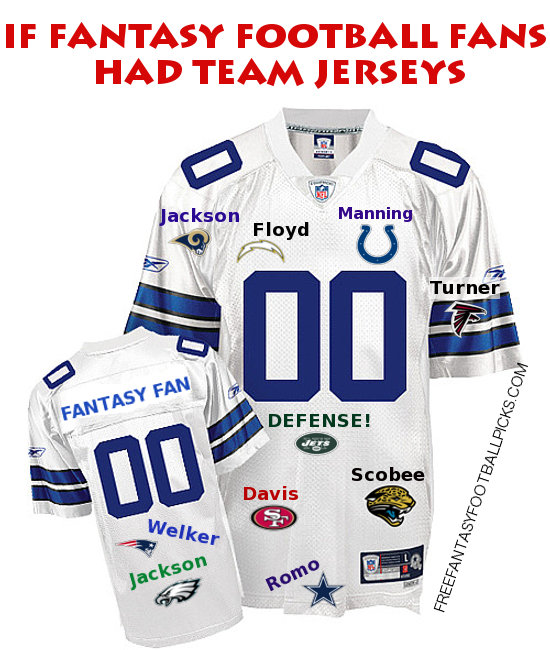 Unless your a fantasy football idiot and drafted for every position from your favorite NFL team, you probably face the same dilemma: How do you don one jersey to show your team spirit for your multi-teamed fantasy football roster? Here's how we envision it looking. Well, minus the beer and nacho cheese stains.